I was one of those lads growing up that loved to be active. Mad about football, loved riding my bike and generally anything sporty. However, one thing I hated was to run unless there was a purpose. Give me a football, I’d run after it all day long. Ask me to run as part of the training…. Nope, I’d find an excuse. My how that’s now changed!! I was an average Sunday footballer who loved the sport and I’d claimed I would play into my 50’s and I believed it too. If you’d have told me I’d walk away from the sport I loved when I was just 34 years old I’d have laughed in your face. Nothing would EVER stop me from playing, not even when I suffered a suspected knee cartilage injury at the age of 31. 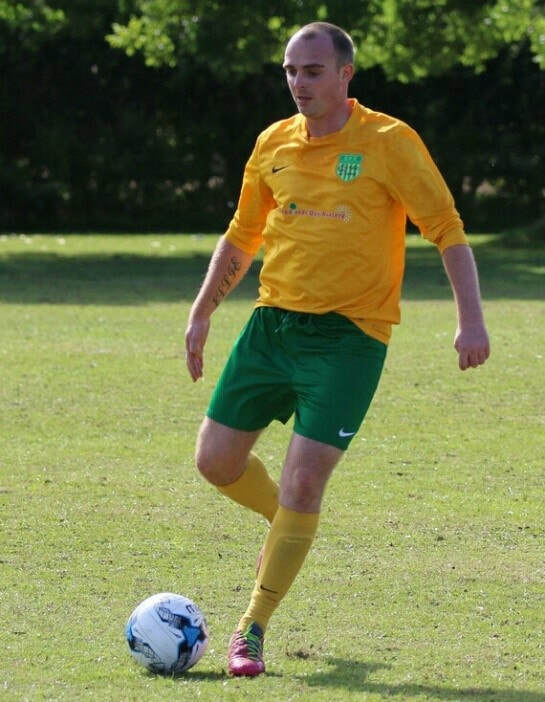 After 3 months off I was back competing for the ball, although I wore 2 knee supports, just in case. So how did it all change…. My cousin runs for west end and after seeing numerous running posts on Facebook, one popped up from when he had completed the Reading half marathon the previous year. This wasn’t anything out of the ordinary, he’d completed loads. However, this one included a stadium finish at Readings football ground. That got me thinking as I’d always loved to push my body to the limits and I thought how hard could a half marathon be? I started searching and found the Derby Ramathon was 4 months away which finished at the footy ground! So after a few beers I signed up. At this point I was still a footballer so I started trying to run during the week to increase my mileage. I soon realised, its harder than you think. I was quickly trying to increase by a mile each run and I got to around 5 miles and couldn’t mentally focus to go further. I was ready to give up but then one of my football friends offered to train with me as a way of getting fit himself. The company certainly helped and soon enough we were completing 7 and 8 miles. The more I did, the further I ran, I got this buzz that was different to the feeling of playing footy, but it felt just as good. With about 6 weeks to go, I bumped into Vicky Vernon (a TAAAR member) at a friend’s party and we were soon talking running. She was about to take part in the London marathon and I was in awe. Suddenly, I wanted to consider becoming a runner instead of a footballer!! So a deal was struck, I’d finish my season, I’d attempt the derby half and then during the summer I would go along to Team Anstey and see how I felt when the season came back around. This time, when I told family and friends my plans, they laughed at me, “it’ll never last” “you’ll never quit football” they said and a few months earlier, I would have believed them. But not now. Something felt different. Seeing the miles tick over gave me a sense of satisfaction and desire to push. So when it came to the day of the half, I set myself a target of 2 hours to complete it, not knowing if this was realistic or not, but I set off from the back of the field with no race experience and just thought I’d wing it. Mile after mile I felt ok until mile 10. I’d been warned about ‘hitting the wall’ but thought it was a myth. Nope, it wasn’t, my legs all of a sudden felt heavy, my mind was racing my body was now hurting and I just wanted to stop and give in. I had to dig deeper than ever before from my football days. But each step I realised I was closer to finishing, each step I felt more determined. Miles 10 to 12 were a bit of a blur, but 12 onwards I felt alive! I knew I’d nearly done what I thought was impossible as a kid. I had become a runner. Before I finished, I remember the sound of the crowd cheering everyone in and I knew at that point I had made my mind up, I was hanging up my boots. I finished and checked my watch and I’d hit my target! 1 hour 59 minutes and 21 seconds!! 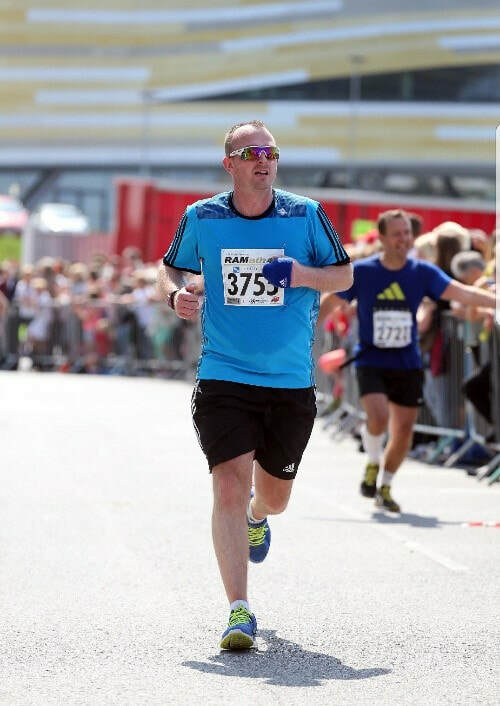 A few weeks later, after completing the derby half, the Rothley 10k and the Prestwold 10k, I turned up as a nervous wreck for my first team Anstey session. I was quickly welcomed into the group and I quickly felt at home. That first year I learnt a lot about running. Each race is different. Little things can affect so much but on a good day celebrate your achievements, on a bad day, learn from it, but celebrate your achievements. Having the confidence to get on a start line, on to a training session is half the battle. 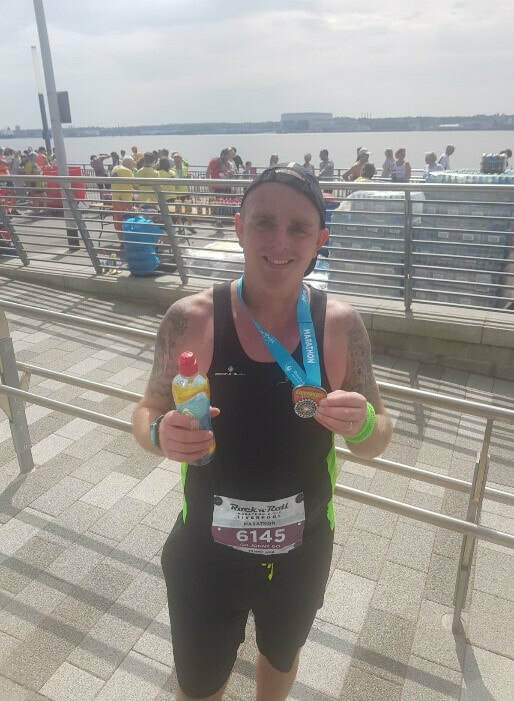 Since that first half, I’ve completed 14 in total along with my first full marathon back in May last year in Liverpool. That took pain to a whole new level, but it hasn’t scared me as I’ve signed up for Manchester in 2 weeks time. Over the last 3 years I have completed around 75 races over different distances and for those that know me, I’d sign up for anything these days!! The club has taught me a lot about people and their capabilities. That first ever race, I was a snob….. I judged people by how they looked. I thought I’ll beat you because your old or your small or your wearing joggers in a race. I was quickly made to eat my words. And for that I’m thankful. Everyone is out there to be better than themselves and that’s it. Yes, there are little battles between runners, but ultimately, it's you vs you. Everyone has their own reason for being out there doing the thing we love, and we all have good and bad days, just remember to smile. Even now, there are days where I’m tempted to kick a ball again, I don’t think that will ever go, but my 2019 calendar is already filling up with races and marathon training, so I won’t have the time. Plus, I know Mrs Norwell wouldn’t let me!! (although I still have a pair of boots under the stairs hidden for emergencies).